A Making Movies production Little Wing (Tyttö nimeltä Varpu) will have its world premiere at the 41st Toronto Intl. Film Festival in September. Film is a debut feature by Oscar-nominated director Selma Vilhunen and “Little Wing” is part of the festival’s Discovery section, where festival showcases interesting new filmmakers. Film is also competing for the international film critics association’s FIPRESCI Prize. 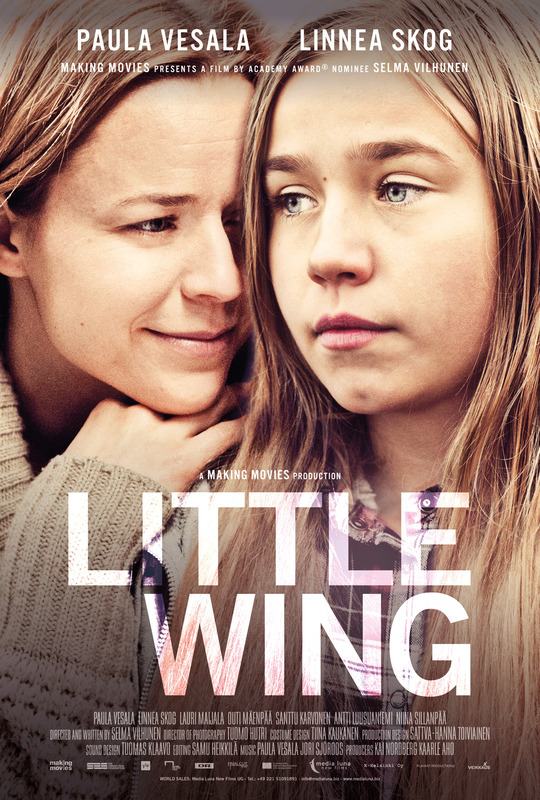 Little Wing (Tyttö nimeltä Varpu) tells the story of 12-year-old Varpu (Linnea Skog), who’s quickly growing to adulthood, and about her mother (Paula Vesala), who doesn’t want to grow up. Varpu lives with her mother and has never met her father. One night Varpu has enough of her riding buddies and her mother. She steals a car and drives up north in search of her father, of whom she only knows the name. But her father is not exactly what she had expected. Meeting him trigger something in Varpu and Siru’s life, making them realize their role in each other’s lives, and in the world. With an Oscar-nominated short “Do I Have to Take Care of Everything?” under her belt, Selma Vilhunen makes her feature film directorial debut with Little Wing (Tyttö nimeltä Varpu). The film is produced by Kai Nordberg and Kaarle Ahonen of Making Movies; the team behind The Fencer, the 2016 Finnish entry for the Academy Awards. The cinematography is by Tuomo Hutri, two-time Jussi Award winner. In addition to Paula Vesala and the radiant Linnea Skog, the cast includes, among others, Lauri Maijala, Santtu Karvonen, Outi Mäenpää and Antti Luusuaniemi. Little Wing (Tyttö nimeltä Varpu) will premiere in Finland 23.9.2016.